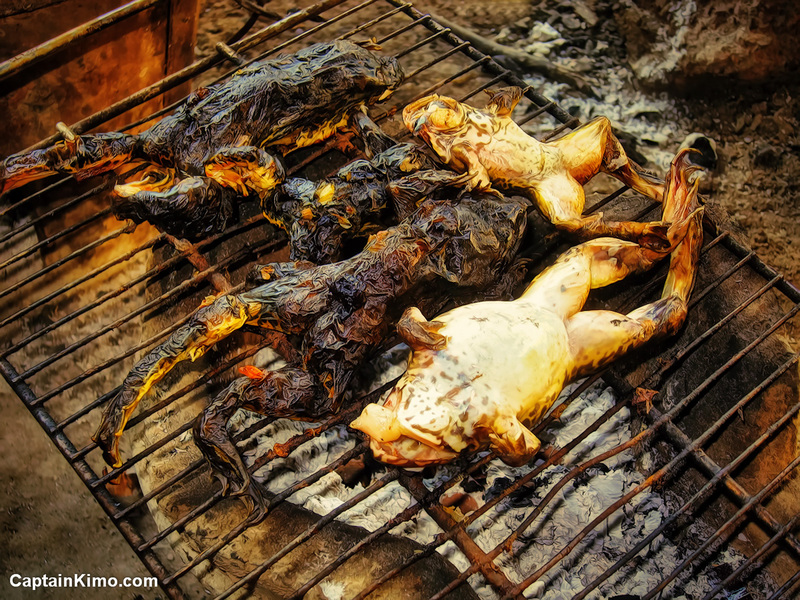 Frog meat is part of the daily diet out in Thailand’s country side. Grandma prefers to cook her frogs over a clay kiln using coal. These frogs are caught by Grandma out in the rice fields where they can be found underground. I like frog meat on a stick… because as we all know anything on a stick taste ten times better ;-). Unfortunately frog meat on a strick is more commonly sold in Cambodia. I plan on visiting there in a few more days. Hopefully I can find some at the local food merchant next to my aunt’s house. I’ll be sure to post pics because I know you all want to see what frog on a stick looks like.